We are just weeks back from our Sixth Annual CTR Conference in Dallas. We weren’t sure it could top last year’s but I think it did. We had 117 participants and they were very enthusiastic and engaged. Lots of great sessions and discussions. And of course some delicious food in Grapevine! Patti Phillips kicked it off with a talk on ROI, emphasizing how important impact and ROI are and how they can be calculated. She included some very interesting history and the story of how she met Jack. When we came back together later in the morning after breakouts, Peggy facilitated a panel on scrap reporting and measurement literacy, and then Brenda Sugrue, 2018 CLO of the Year, shared some thoughts from her career. Six more breakout sessions followed in the afternoon leading up to the awards ceremony at the end of the day. CTR recognized Jack and Patti Phillips as the first recipients of the Distinguished Contributor Award, acknowledging their truly significant contributions to our field including the 1983 Handbook of Training Evaluation, the concepts of isolated impact and ROI, and the successful implementation of ROI in over 70 countries. 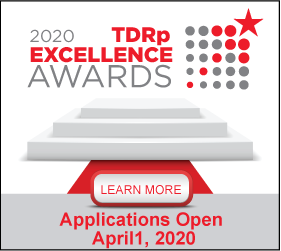 Then we recognized the winners of the TDRp Excellence Awards: SunTrust Bank for L&D Governance, and Texas Health Resources and Heartland Dental for L&D Measurement. Jack and Patti recognized three winners for ROI studies as well. Day two began with Steven Maxwell of the Human Capital Management Institute sharing his perspective of what CEOs and CFOs want from learning as well as his thoughts on the newly released Human Capital Reporting standards, both of which got people thinking. After six more breakout sessions, Justin Taylor, General Manager and EVP of MTM, led a panel on the impact of learning to wrap up the conference. With a focus on just the measurement, reporting and management of L&D, everyone could focus on the issues of most concern to them and share ideas and questions with each other in detail. If you didn’t make this event, you missed hearing from industry thought leaders and leading practitioners. Next year we are moving the conference to the fall, so mark your calendars for October 28-29, 2020. We will continue to begin CTR Week with a pre-conference workshop on measurement and reporting (October 26-27) and end the week with post-conference workshops.. Next year will be the 10th anniversary of TDRp and we hope you can join us for the celebration.